Tai chi is great for physical, mental and social benefits. That’s the word from Mike Stephens, who took up the practice after suffering from a heart attack and triple bypass heart surgery in the late 1990s. Stephens was trained in the martial art of tai chi by Tim Turner after reading an article about it in a newsletter for victims of multiple sclerosis. Stephens, who was diagnosed with the disease in 1991, said he sat around for a number of years and felt sorry for himself. “I thought, ‘It can’t get any worse than this,’” he said. The heart attack and surgery changed his mind. “It does so much good for me, I wanted to help others,” he said. 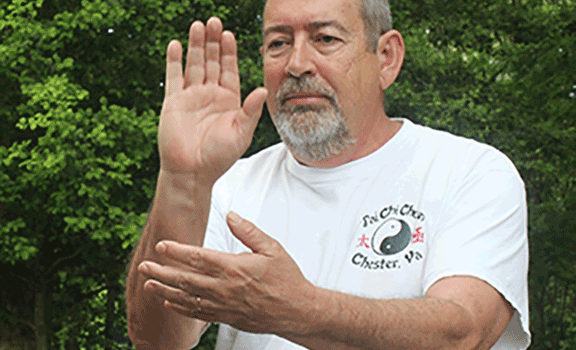 Stephens started teaching tai chi in 2000. He offers classes for free-will donations at Grace Lutheran Church at 6:30 p.m. and 7:30 p.m. Mondays and 10 a.m. Thursdays, and has recruited a number of helpers over the years, including Janet Maurer and Cindy Wallow. Tai chi involves circular movements and twisting at the waist and shifting of one’s weight. Physically, it helps restore balance and assists in the proper function of organs. Mentally, it helps through reduced stress by calming the mind. After he was diagnosed with MS, Stephens got to the point where he had to use a wheelchair and couldn’t walk. He would lose his balance, and had double vision and speech problems. He has improved dramatically since he started tai chi, he said. “It’s a form of physical therapy,” he said, noting that he also has had two hip replacements. Although he admits that tai chi is not for everybody – some do not like the slow movements – Stephens encourages people to try it. All the motions are based on the yin and yang, opposite movements that represent either backward or forward, hard or soft. “We laugh and have a good time and learn tai chi along the way,” Stephens said. Classes are also offered at Chester Baptist Church through The Shepherd’s Center in fall, winter and spring. The next classes will start in mid-September. 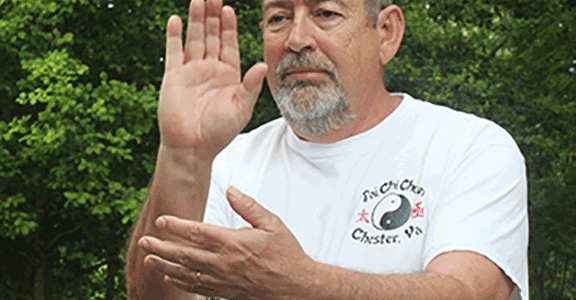 For more information, go online to chestertaichi.weebly.com or call (804) 454-1633.